Does Finland’s experiment with a universal basic income prove that this could be a solution for the future? We will not know until 2020. But in one way, the research project has already been a success – the fact that it was possible to carry it out at all. Olli Kangas, head of research at Kela, the Social Insurance Institution of Finland, was given a project which took both light summer nights and long, dark winter days to carry out. “We were given 20 million euro do this experiment, and we were extremely pressed for time. We only had one year in which to plan the experiment, decide which selection of people we should use, and to design the platform which would pay out the benefit. The whole thing was a nightmare to execute,” he says. Olli Kangas fought Finnish bureaucrats who wanted to close the research project down, convinced sceptical government ministers and played tug of war with an EU that was worried about the consequences for other countries. 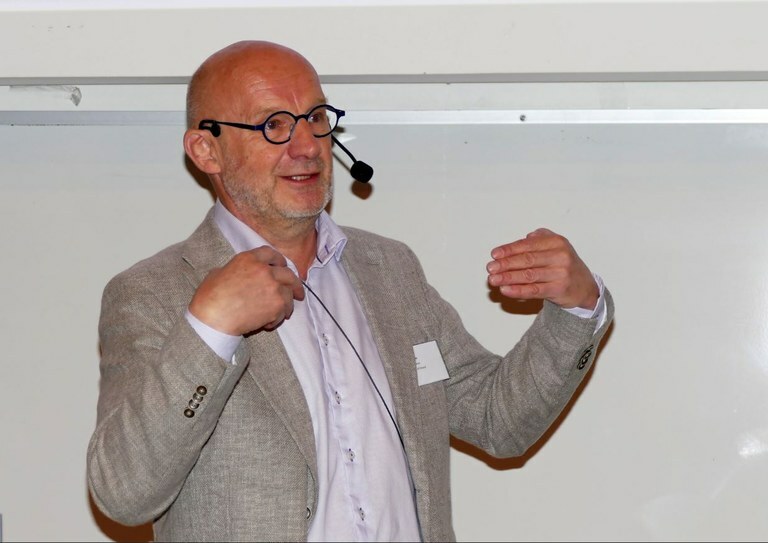 “It would have been easier to introduce universal basic income in Norway or in Iceland,” Olli Kangas told the Nordic Work Life Conference 2018 in Oslo. The universal basic income has supporters and opponents, but they do not fit the usual political patterns. Among supporters you find for instance both parties to the right, who see it as a scaling back of the welfare state, and parties to the left, who see it as an expansion. The idea behind the universal basic income is that all citizens in a country should have the right to receive a certain minimum income, unconditionally. The proponents of the idea point to the fact that today’s benefit systems are complicated and that it is easy to end up being lost in all the red tape. Since many benefits are means tested, those who receive them risk losing their benefits by accepting a new job. “Although the contribution a person gets is low, it is permanent and secure,” said Olli Kangas. The opponents of the universal basic income argue it is too expensive, that it reduces the incentive to work and that it could impact negatively on gender equality since it could influence women to stay at home rather than go out and work. Juha Sipilä’s centre-right coalition launched the idea of carrying out a universal basic income experiment in 2015. The government comprises three political parties. The Finns Party was the most sceptical, arguing such an experiment would lead to Finland getting a reputation for being a haven for refugees. In March 2016, the research group proposed to make the experiment a national one. A representative selection of people would be divided into different groups with different levels of benefits, and different tax levels, in order to better study the effects. As a result, the level was set to 560 euro a month. This also meant they would not go beyond one important limit in relation to the EU. When the research group was appointed and met the prime minister, he proposed that the project could be financed by redistributing parts of the annual 15 million euro total benefit budget, since the idea with the universal basic income was to reduce other, means tested benefits. “This made us feel like ‘masters of the universe’, planning an experiment with 100,000 participants. But we soon came back down to earth, since the bureaucrats turned out to be stronger than the politicians,” said Olli Kangas. In the end, the experiment was far more modest. 2,000 unemployment beneficiaries aged 25 to 58 were chosen. They received 560 euro a month with no strings attached for two years, in 2017 and 2018. There was also an equally sized control group where no one received universal basic income. The budget was 20 million euro in the end. The aim of this experiment was to see what happens when the participants no longer needed to spend time applying for financial support. Would the recaptured time be used for other activities, or for finding jobs? The Finnish constitution proved to be an obstacle, since it bans the unequal treatment of citizens. Olli Kangas’ research group wanted the experiment to be obligatory, so that the chosen ones got the universal basic income whether they wanted to or not. This is a type of ‘human experiment’ which has not been done previously in Finland. As a result, they ditched the plan for different levels of universal basic income. When Olli Kangas himself tries to answer whether the experiment was a success or not, he almost sounds like the artist Christo, who is known for wrapping up bridges and buildings in fabric. The artwork is as much about overcoming bureaucratic obstacles as the wrapping itself. Better than a Canadian research project? The research experiment will be evaluated. Thanks to Finnish registries it will be possible to follow up what happens with the group that received universal basic pay for many years to come. But register data lags behind with one year, so data from 2017 will not be available until the end of 2018. “That’s why we won’t be presenting our end results until the end of 2020,” says Olli Kangas, who doesn’t believe a universal basic income will be introduced in Finland.